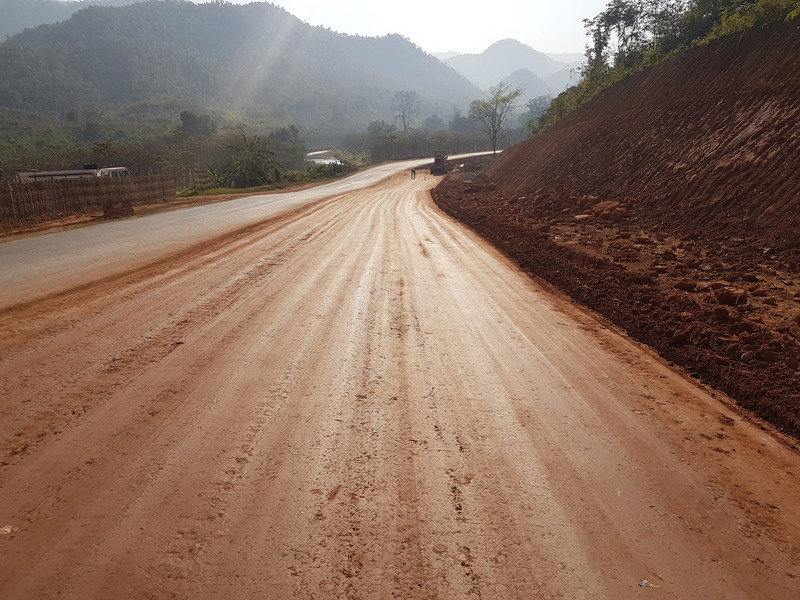 Cypher recently finished two projects in Myanmar, involving the use of EarthZyme® combined with inexpensive localized clay road material. 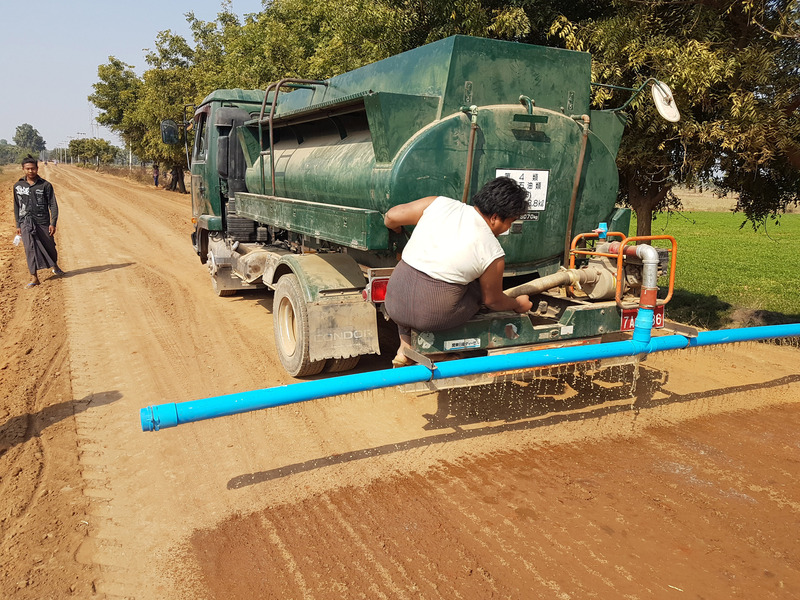 Both projects are a result of the local government responding to alleviate the problematic conditions that are characteristic of the region’s rural roads. Both roads are susceptible to heavy volumes of traffic, leading to insurmountable construction and maintenance costs, as well as lengthy construction delays. These projects were carried out in order to find a cost-effective method of road construction that would withstand this traffic for longer periods and alleviate long-term construction costs. 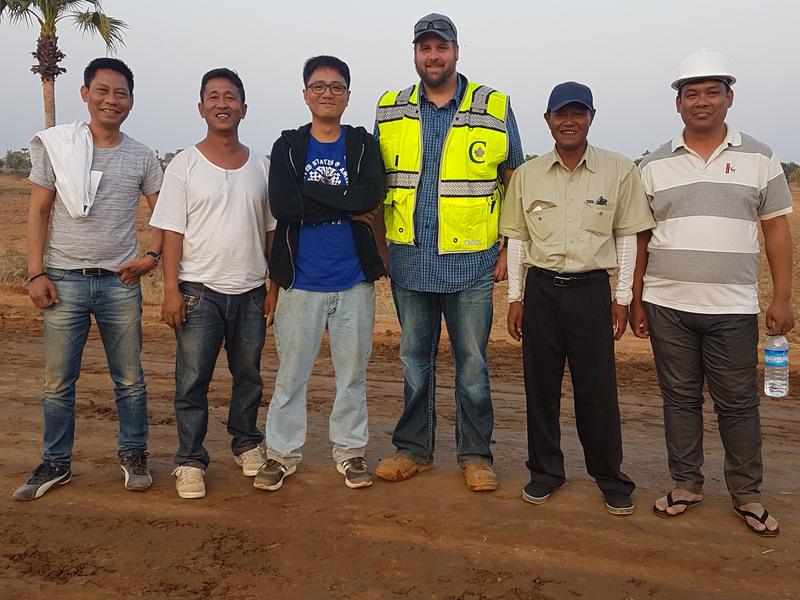 Cypher Environmental’s own Construction Foreman, Jayme Gladden, oversaw the entire production of both projects—helping to educate the local construction workers on proper application technique. 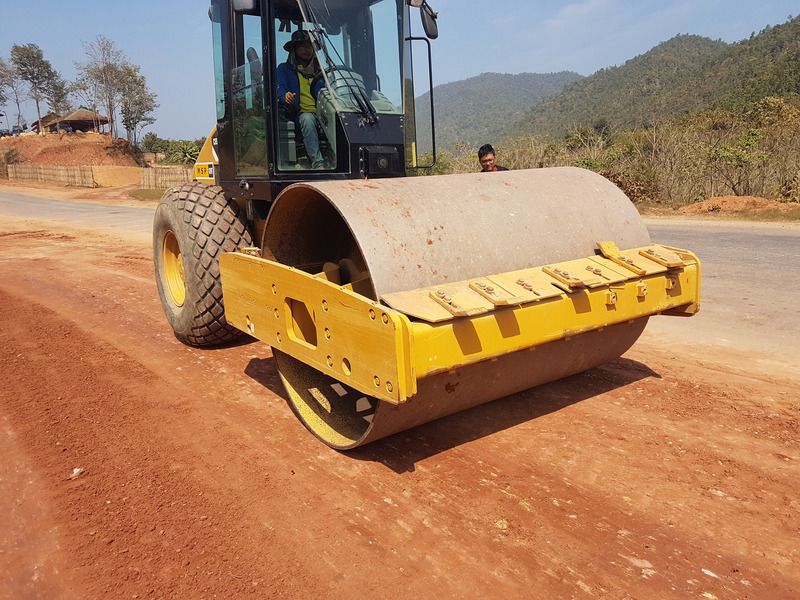 The first project took place between Shwe Hlay village and Shwe Ku village. The roads around these villages were in extremely poor shape and had enormous potholes—roughly 1m2 in diameter—making it extremely difficult to navigate safely. This region is a farming community and this road is subject to heavy daily traffic—mainly consisting of agriculture traffic—transporting crops and equipment to and from the local farms. Following the application of EarthZyme®, a topical coat of Dust Stop® Municipal Blend was applied in order to seal the road and provide additional dust control. The second project took place along the Asia highway. 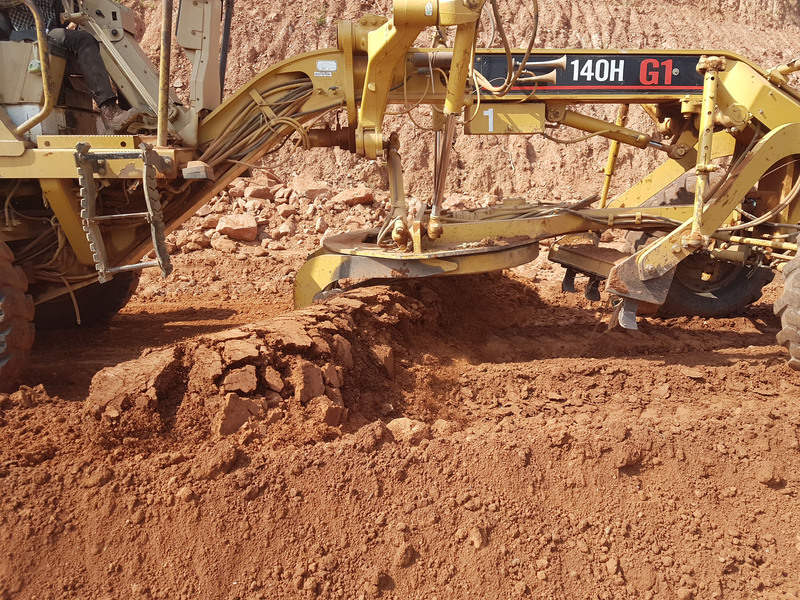 Typically on highway construction in this region, the clay is removed and the base is replaced with large rock, followed by a layer of smaller rock and finally a layer of crushed rock. This base is followed by an asphalt chip seal on top. This process is extremely time consuming for them—all the layers of rock are placed manually by hand from labourers. Completion time on these productions is extremely slow, labor intensive and inefficient. Instead of the clay removal / rock base application, the road was constructed by mixing the localized clay with EarthZyme® to be finished with a top-coat of asphalt chip-seal. This application will not only save time, but it will also save money on construction costs.